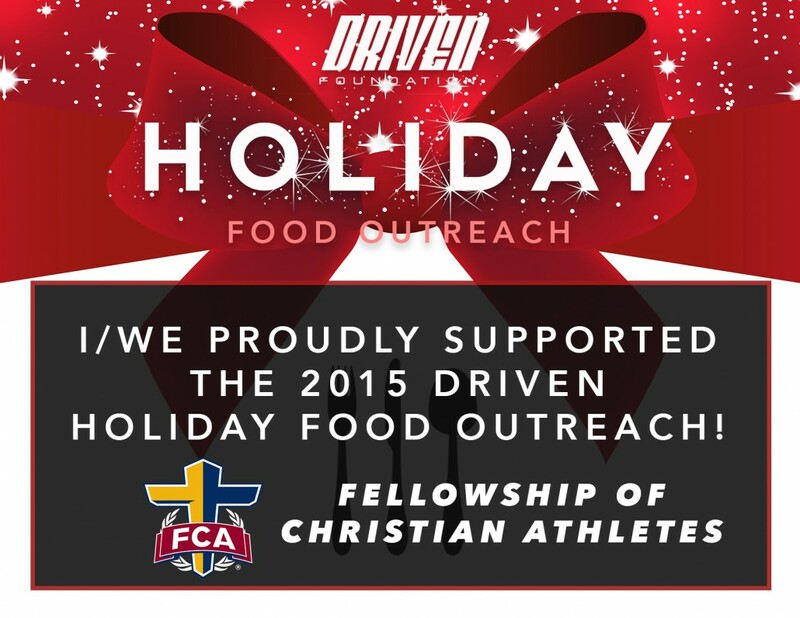 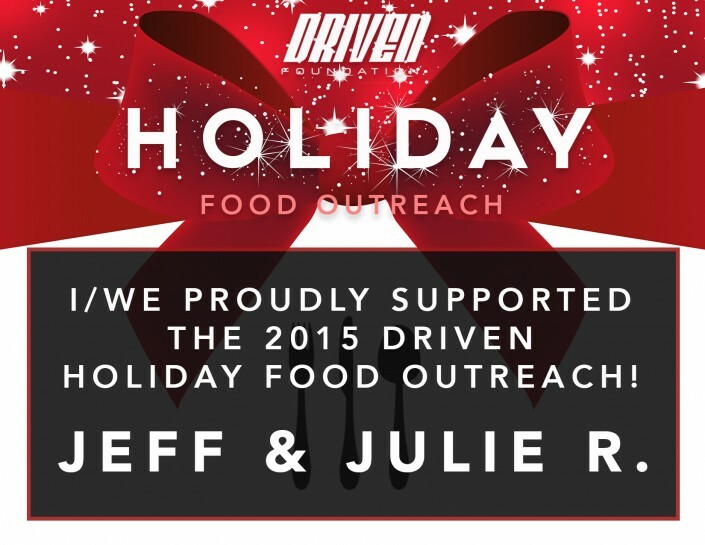 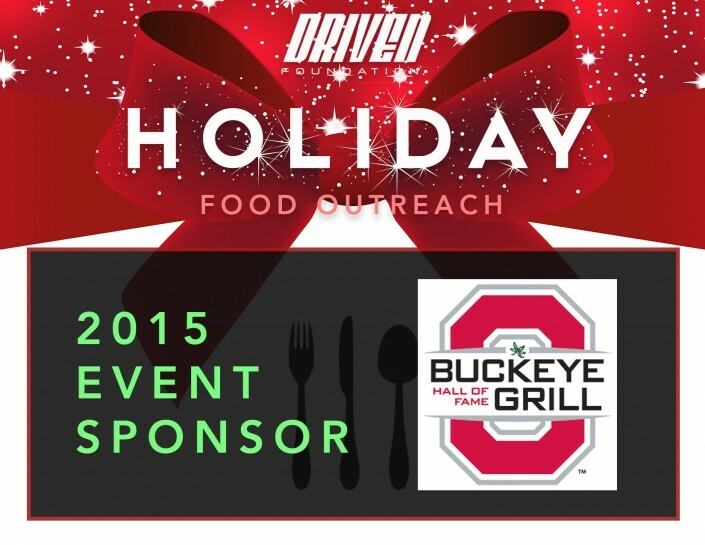 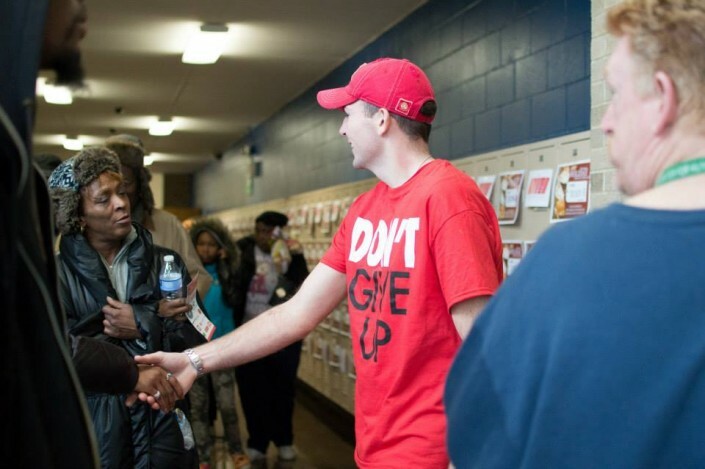 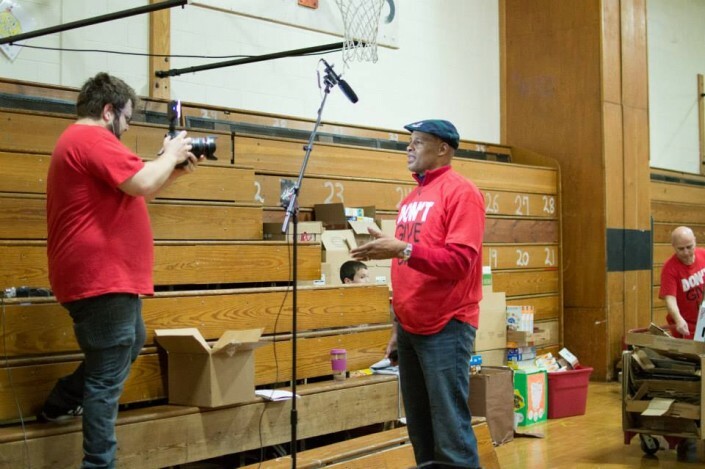 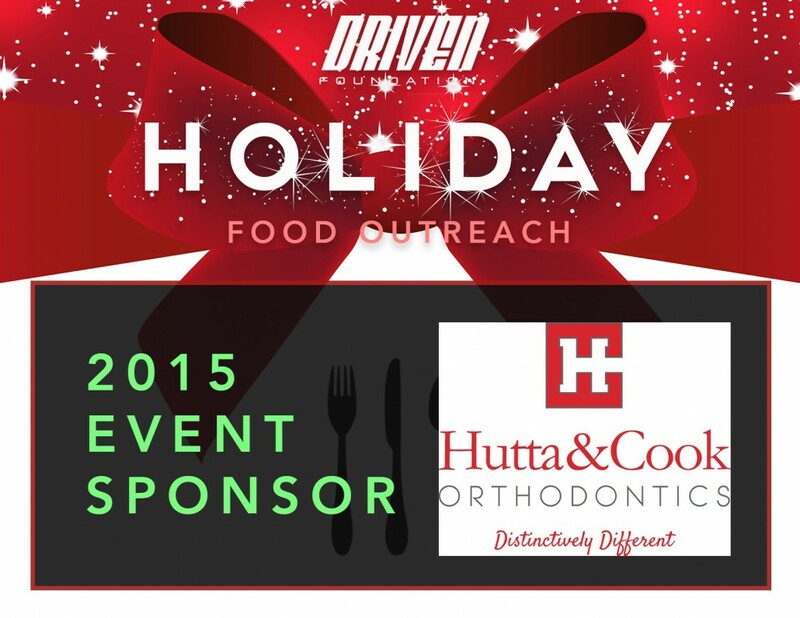 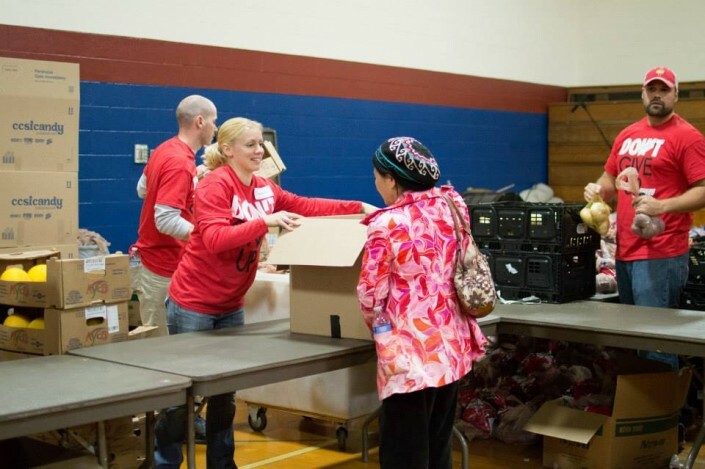 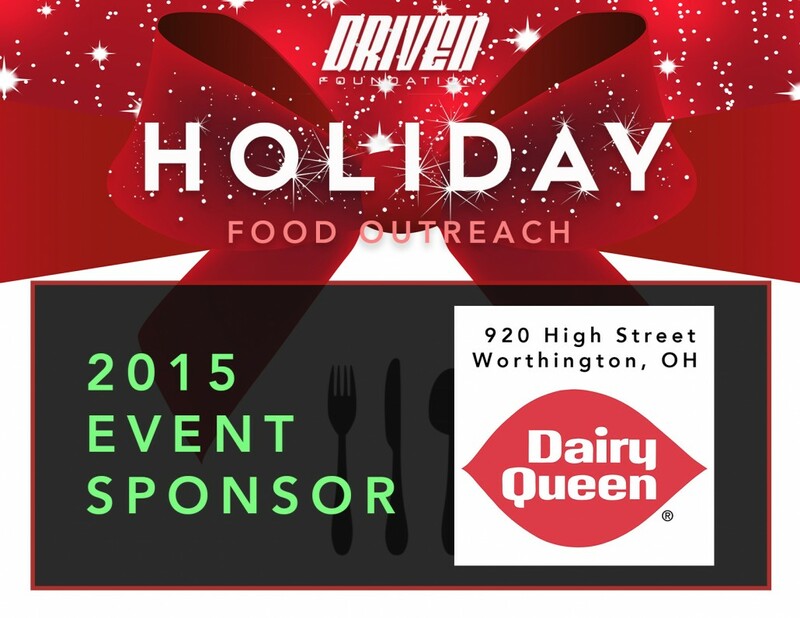 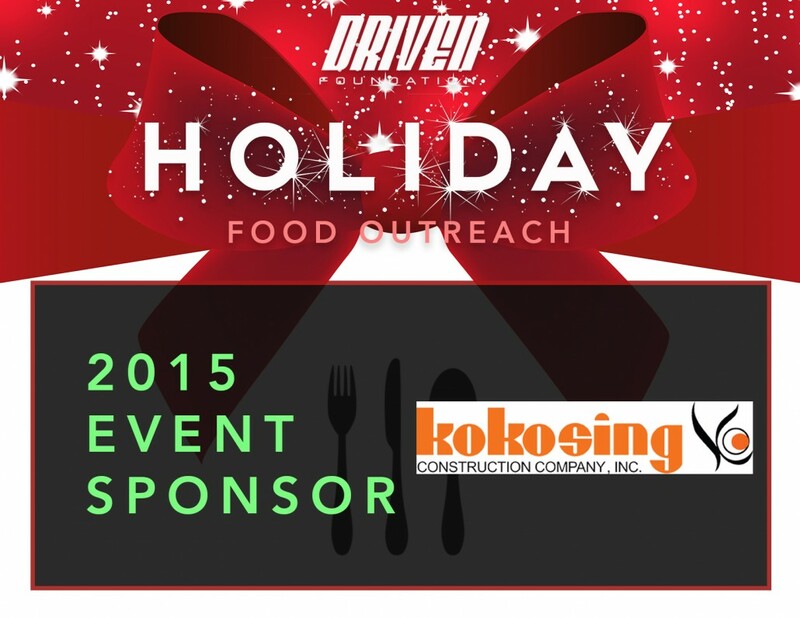 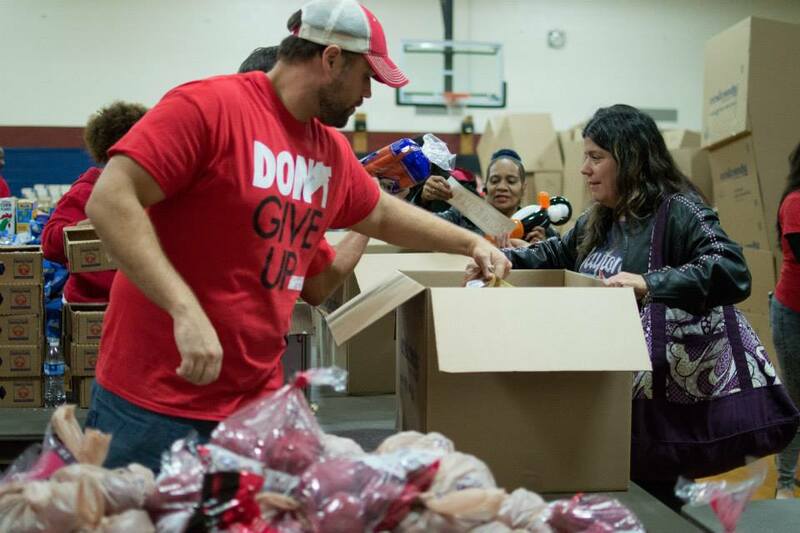 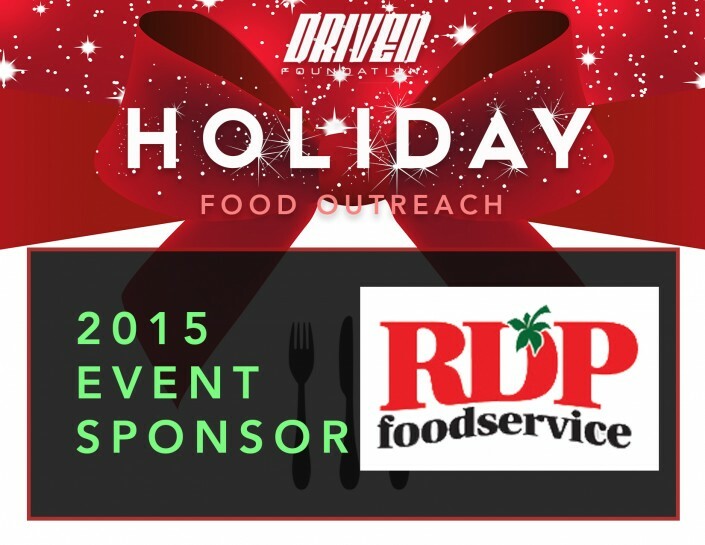 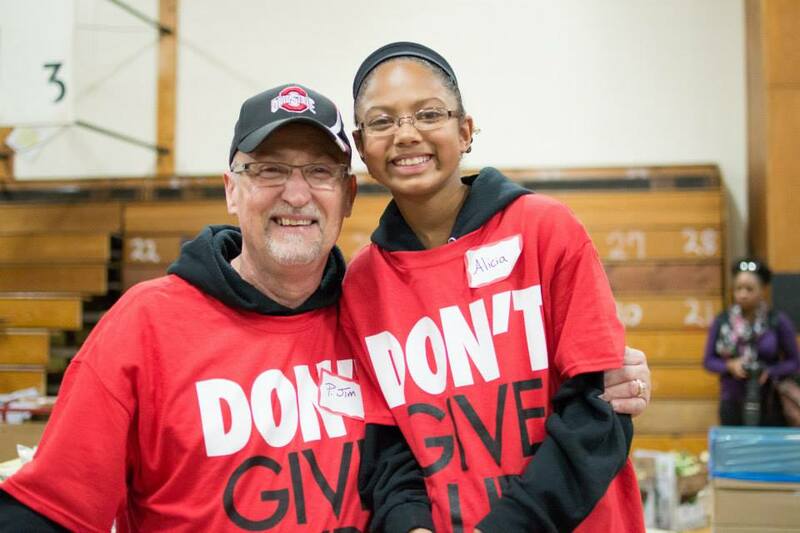 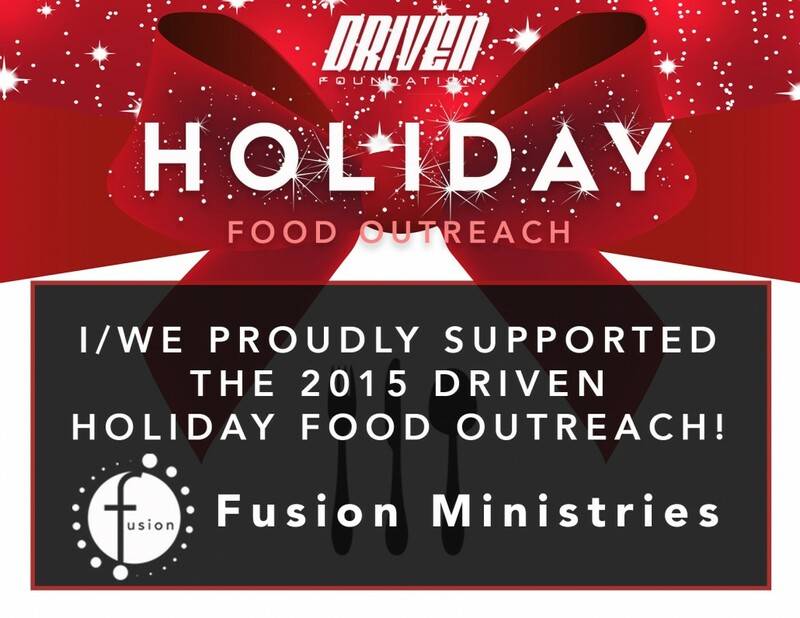 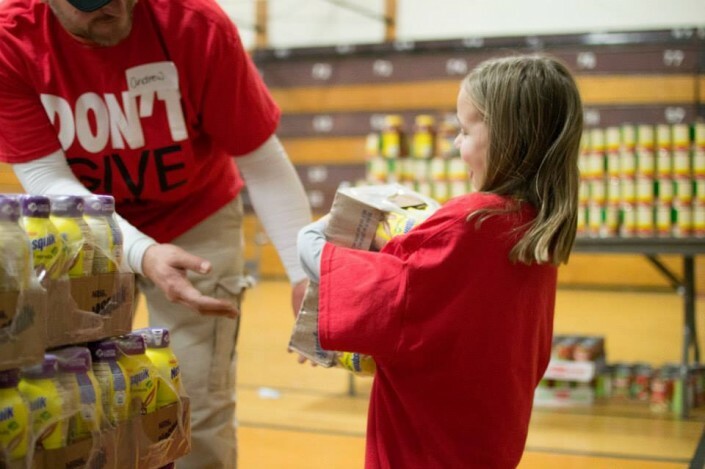 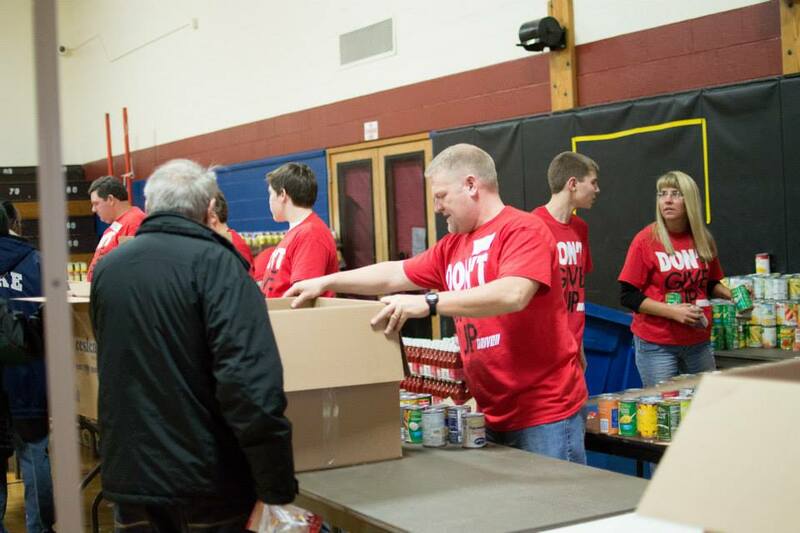 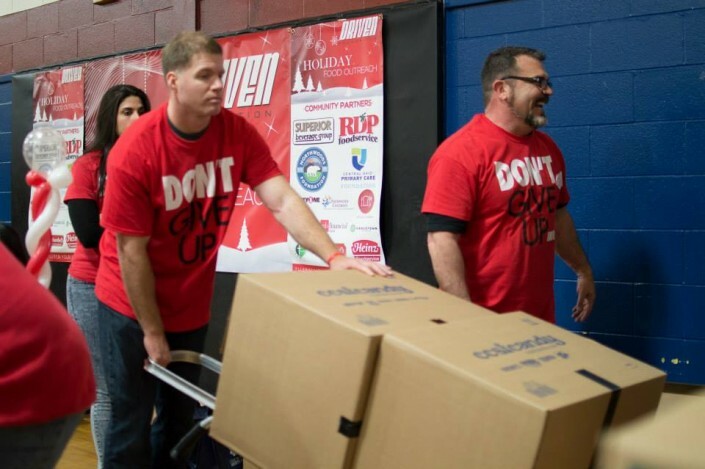 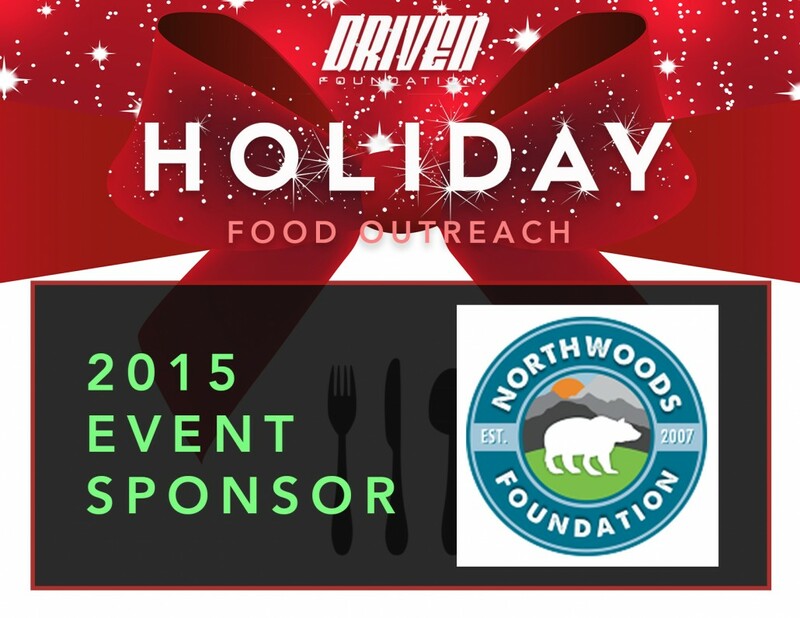 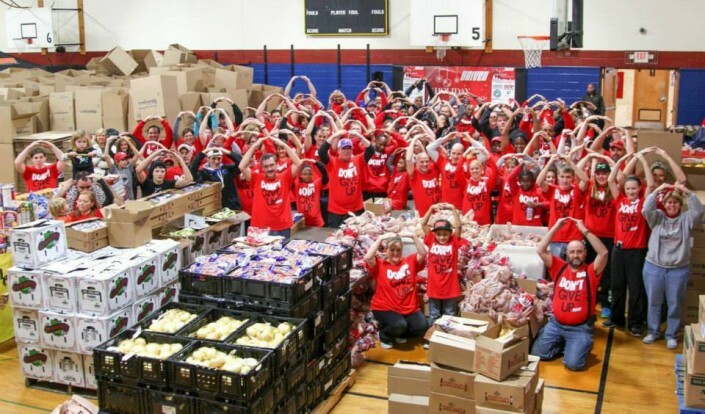 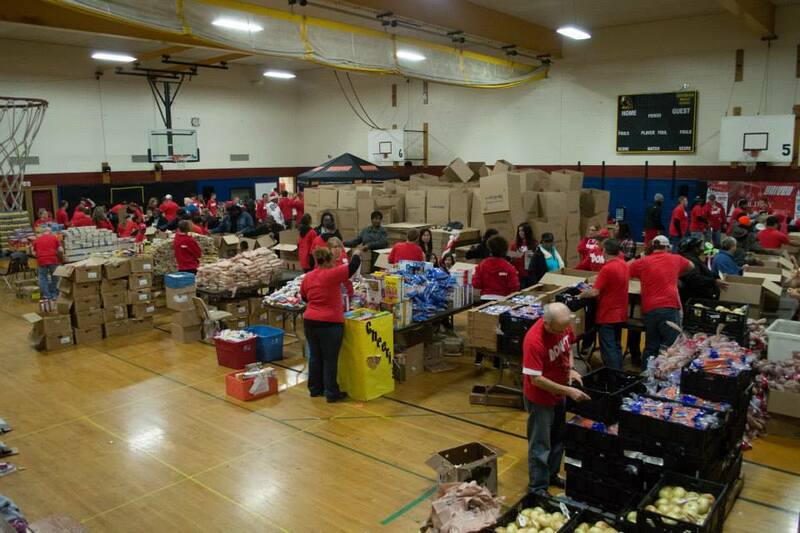 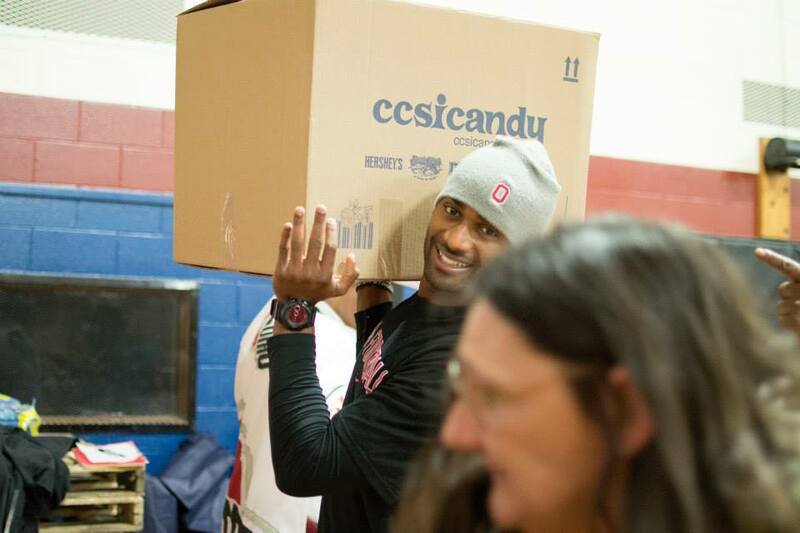 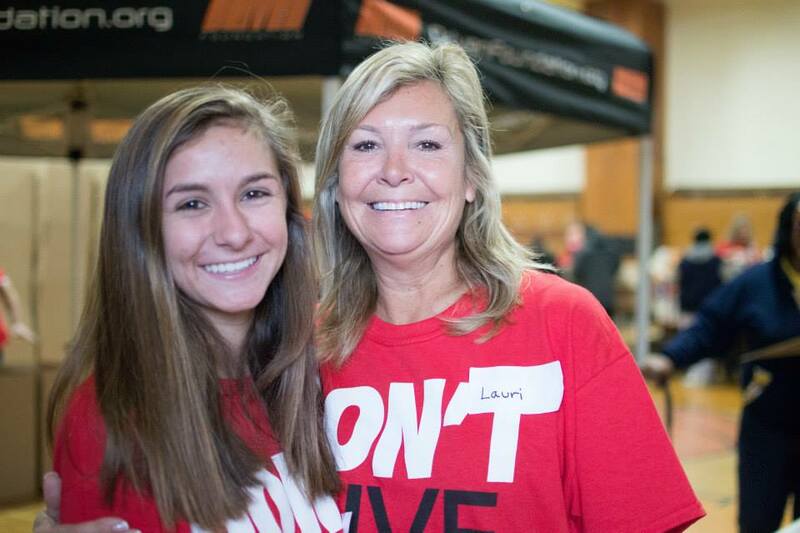 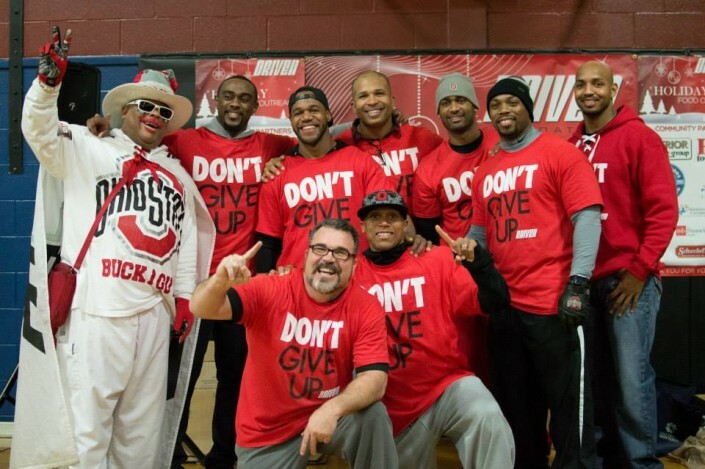 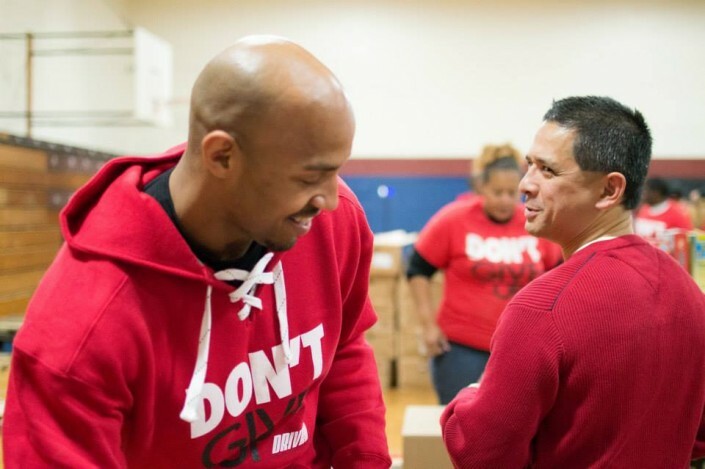 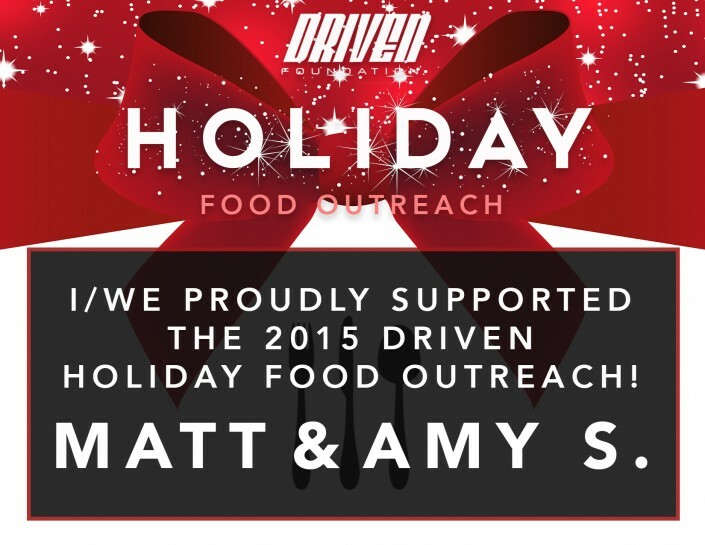 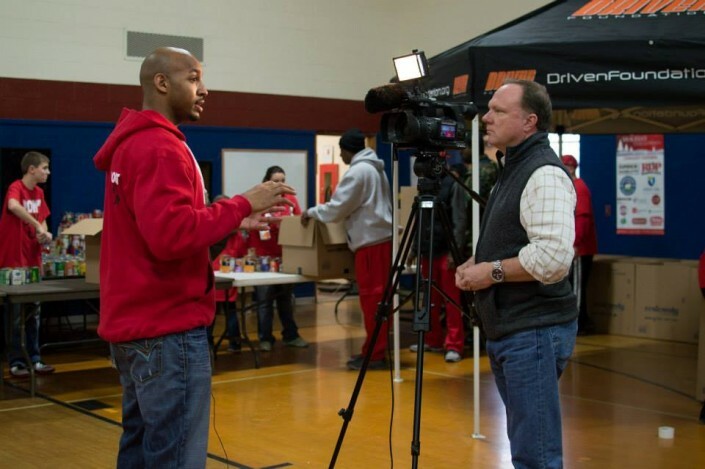 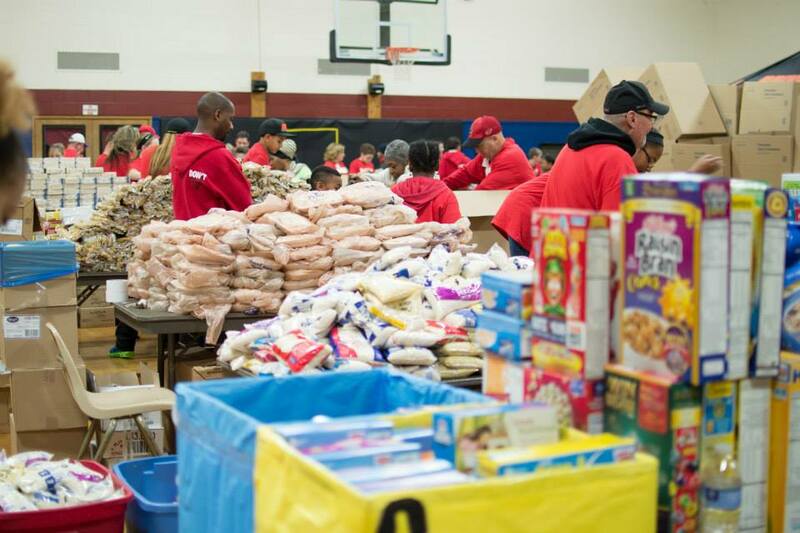 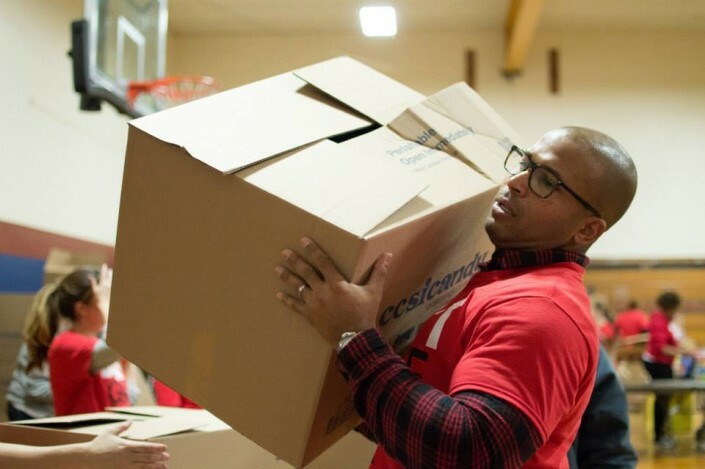 Join the Driven Foundation for the 7th Annual Holiday Food Outreach! 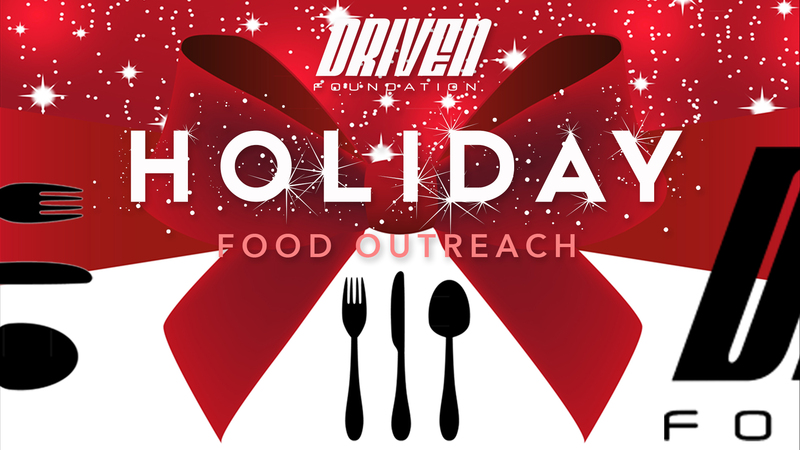 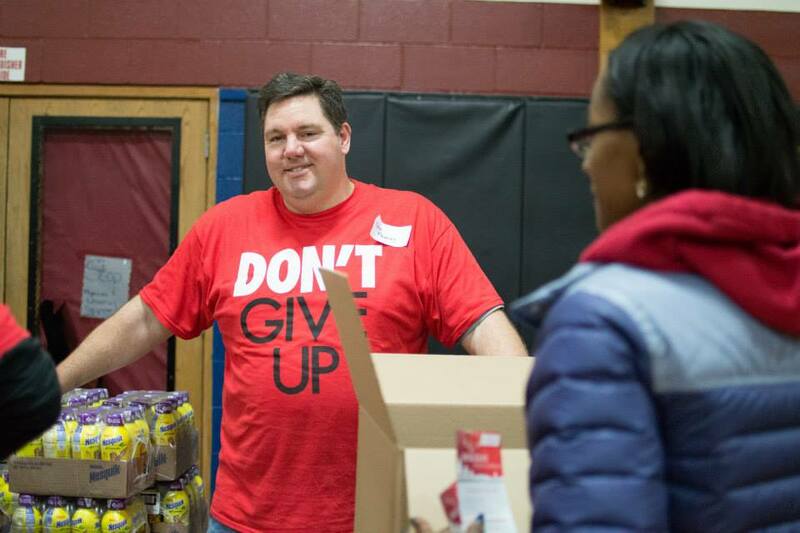 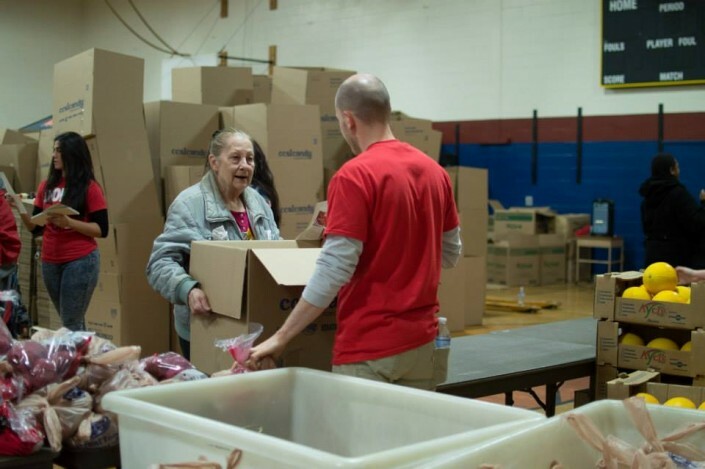 Driven, with the help of community sponsors and volunteers, will provide more than 800 families with one week’s worth of food this Holiday Season. 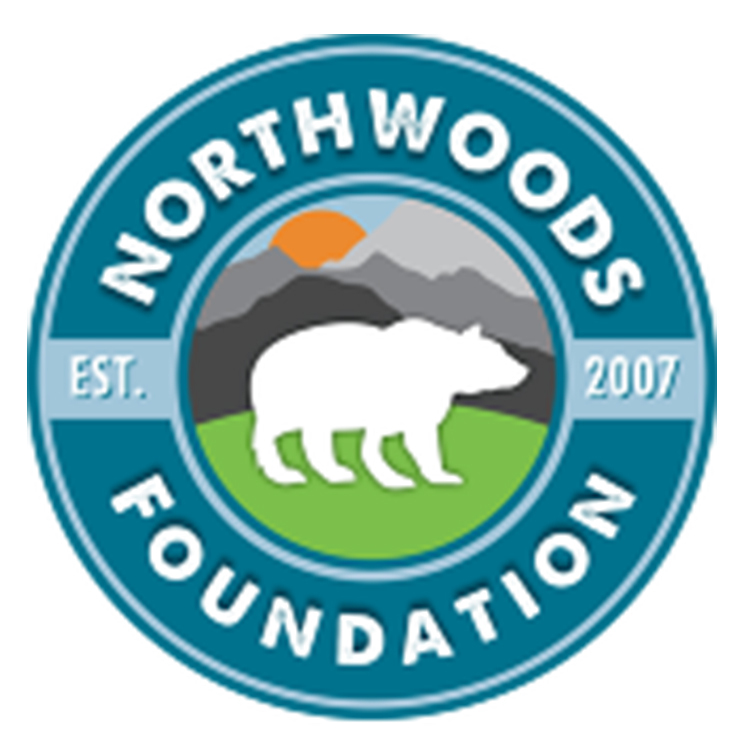 Please consider sponsoring at least one family for $25.00. 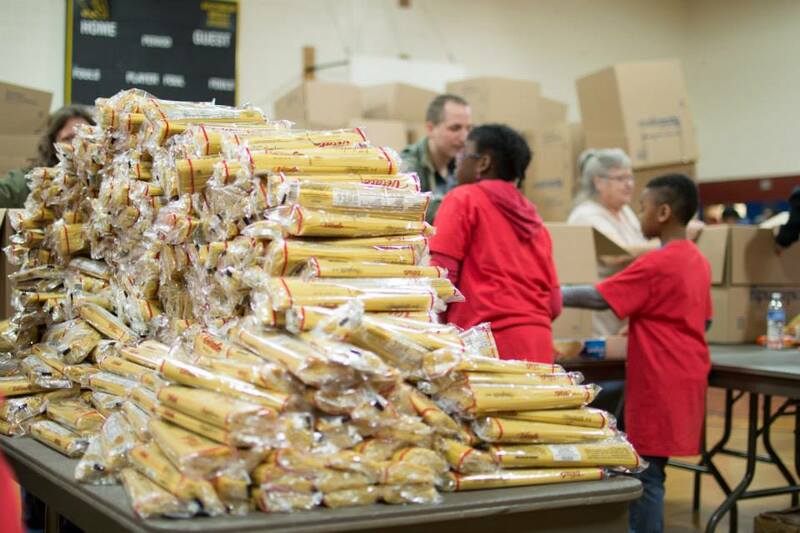 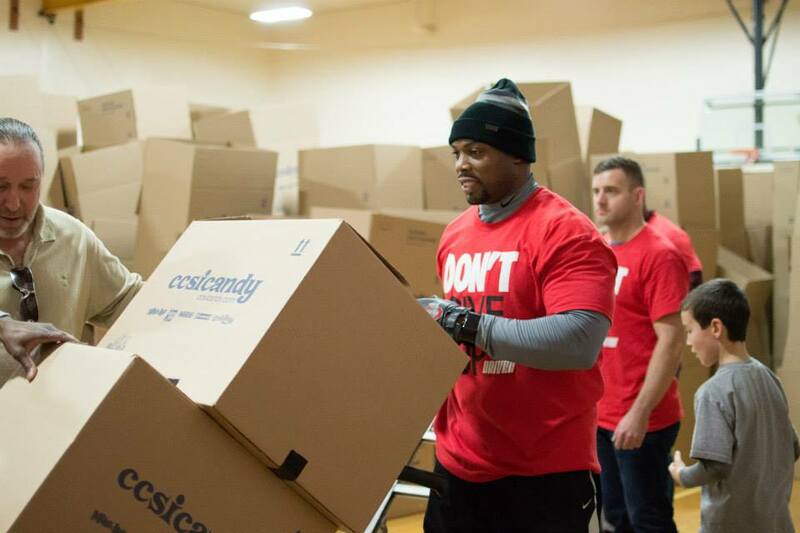 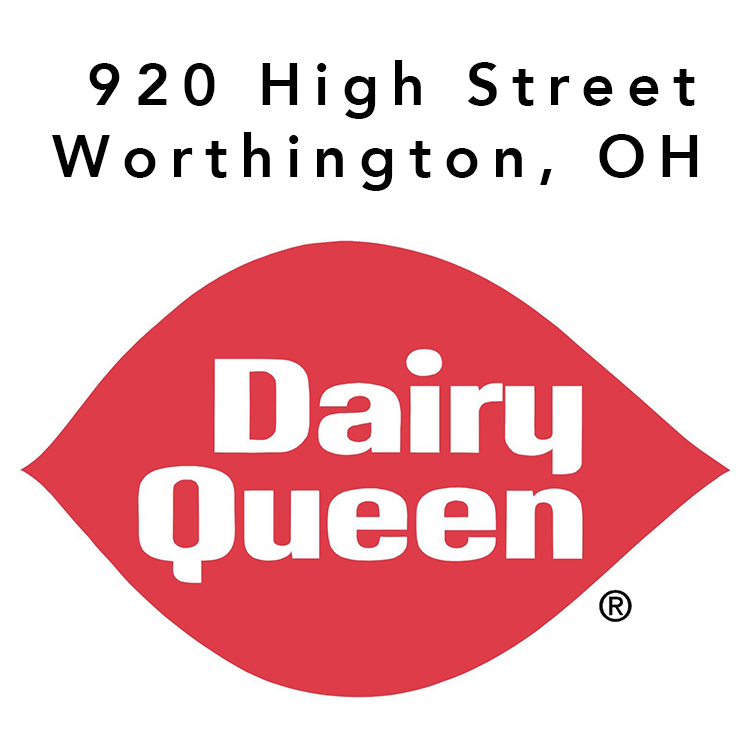 Food Boxes Include: Chicken, Pasta, Pasta Sauce, Rice, Mac & Cheese, Bread, Oatmeal, Fresh Produce, Canned Soup, Canned Vegetables, Baked Beans, Peanut Butter, Jelly, Cereal, Canned Fruit, Assorted Dessert Items, Assorted Toiletry Items, and more.